I abhor what Islam is doing, I have renounced being a Muslim and actually converted to Christianity in 2009. Glad to be had ! BEING HAD FOR DINNER IN OTTAWA. 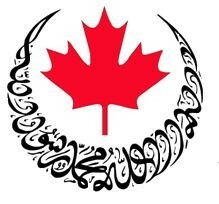 I have been travelling some 400 KM, back and forth to attend the ceremonial lunches as well annual dinner of the Ottawa Muslim Women Organization (OMWO) for past four years. Each time I return with awe, what a dozen professional, superannuated and / or housewives from different cultural and ethnic background, with the help of tots and teens volunteers, managed to provide an evening of great entertainment but also try bridge the great divide that has recently developed between Muslims and the other faiths in Canadian Diaspora. The event on Sunday 28th April 2013 was no exception. It was well organized beautifully conducted and attended by some four hundred fifty, officials, dignitaries, and business personalities as well people of all faiths and cultural backgrounds. · Children Hospital of Eastern Ontario. · Ottawa University Heart Institute. · Terry Fox Cancer Foundation. · Shirley Greenberg Women Health Centre. · Multi faith housing initiative. · The Centre for studied of Islam. · Various Religion festival funds. This year was no exception. All proceed from the dinner and funds raised would go to Royal Ottawa Foundation for Mental health. The evening was pleasant and company was knowledgeable. While seated with the Aboriginal & Ethnic Liaison Officer, we briefly discussed the Government of Canada efforts to improve the lives of the First Nations. I cited an old movie 'Savage Innocent' wherein the two civilizations collide. Tragedy occurs when the new order is imposed on the old, disregarding the deep ingrain customs and traditions of the people. May be west has been too keen on imposing their accepted wisdom on regions not ready for a change. Having lived in Montreal, I did not know Lucy Van Oldenbarnevald the CBC anchor in Ottawa. However I did know Dr. Ingrid Mattson the keynote speaker when she was president of ISNA. While Lucy was pleasant and witty as masters of ceremonies, Dr. Mattson was eloquent and thought provoking. A Muslim by conviction, she carries many credentials, and awards. She spoke of Muslim Cultures in the Canadian social structure; I was very impressed with her deep understanding of the malaise currently affecting the Muslims living in Canada and the western world. Sadly, I have come across your article under the so called 'The Investigative Project on Terrorism' trashing every one and everybody in your wake. You are trying to draw a parallel and a linkage to Al Qaida and Radical movements to charitable and noble entity of OMWO. Mr. Harris- the recent and ongoing events by only a few misguided and ignorant persons have created a deep ridge and great divide of WE and THEM for people like yourself. Their despicable actions have apparently distorted the very fabric of religion, Islamic culture, as well social norms of decency, equality and tolerance. You remind me of Torquemada and your organization is like The Holy Inquisition of medieval age in modern times. Dr. Mattson has actively been trying to bring together all faiths together and give Islam a rightful place in mislaid perception of Muslims by people like you. Please do not equate and lump one and half billion people with those few who have killed thousands innocents of their own kind and destroy and damage the very cause they would like to propound. If anyone needs to apologize, it is Mr. David B. Harris. 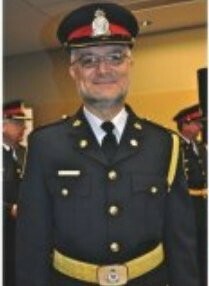 If anyone is being divisive it is you sir, who has done wrong not only to decent and compassionate ladies of Ottawa, the recipient of funds to all the charitable organizations mentioned above, officials of CBC, respectable audience and the Her Excellency Sharon Johnston the wife of Governor General of Canada. I was glad to be "HAD FOR DINNER IN OTTAWA"
...to have non-believers as friends, sorry. The Cult of cRaZy m0E commands them. Why does this kind of thing happen? The "liberal" elite are actually a little scared of orthodox Muslims and want to believe they can be made warm and fuzzy, or, at the very least serve their imperial stateist dismantling of traditional Western values of self-governance. It's a form of dhimmitude or Stockholm syndrome married to unacknowledged Utopian violence. Either we leave them all behind, or die with them.